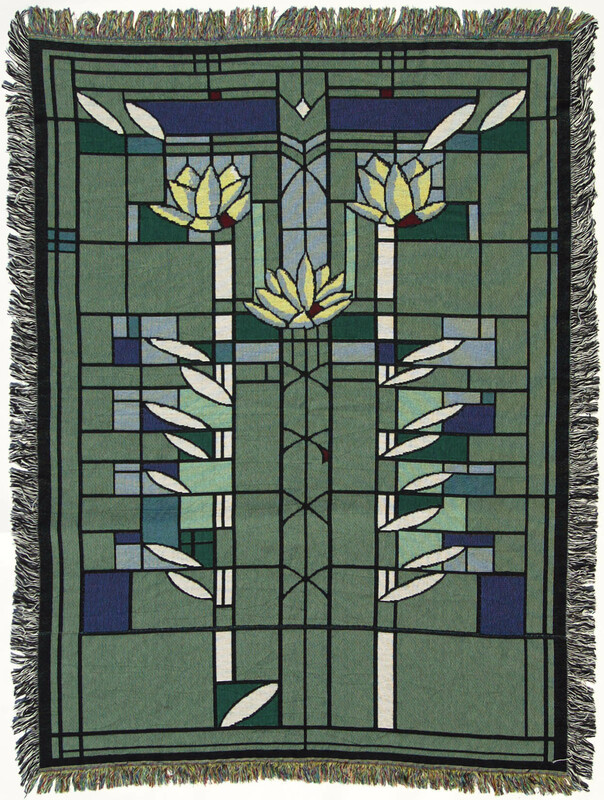 Frank Lloyd Wright design throw! The delicate design from this throw was a design never realized depicting Waterlilies floating on water (design C. 1901-1910). 100% cotton throw, machine washable, measuring 46" x 67".